First off, the XBOX ONE will be available some time later this year, which I would guess sometime between October and mid-December. 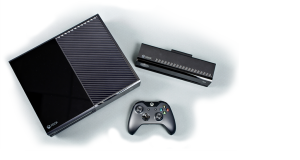 Microsoft executive Don Mattrick said that this new console is an all-in-box and its goal is to be “simple, instant, and complete”. There is a new design to the console, controller, and Kinect. The system itself has a two-tone black finish with a matte and glossy look. There is a blu-ray optical drive, meaning it will play blu-rays. FINALLY! Welcome to the new world Microsoft. There is also a power button which you can touch to turn on (that’s what she said). We were told that the Kinect will power the console, which means you might be able to say “XBOX ON” OR “XBOX OFF” and the console will follow your instructions. Maybe it will make me chocolate milk. We will have to see. Some of the specs include an 8-core cPU, USB 3.0, wifi direct, blu0ray, 500GB Hard drive, HDMI input and output and 802.11n wireless. 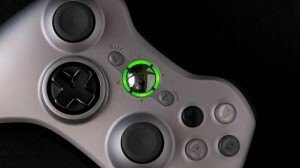 This is huge as we will have much more powerful games and the ability to multitask. Not too mention that there this will be capable of playing live television, apps, games, and social media. Remember, this will be an all-in-one console. XBOX LIVE will be receiving a major update as well with 300,000 servers backing up it’s iconic service and will all be available in the cloud . There will also be a DVR type of service offered which I bet you’ll be able to record and what certain programs. There are some cool launch games announced as well as some other teaser announcements for games coming out in the next 12 months. Not too mention that Steven Spielberg will be involved in bringing the HALO franchise to a live action series for television. Not sure yet if this series will be strictly for XBOX LIVE customers or will be available on prime time yet. I’m sure in a couple of weeks at E3, we will all know every single detail about both this console and the PS4. One thing we do know…we are hearing reports from both camps that both systems will NOT be backwards compatible, meaning you won’t be able to play your older video games on the new console. We have also been hearing talk of how when you purchase new video games, they will only play on your console only and not on anyone else’s. If this is set in stone, say goodbye to Game Stop. This entry was posted on Tuesday, May 21st, 2013 at 4:09 pm	and is filed under Events, News, Video Games. You can follow any responses to this entry through the RSS 2.0 feed. You can skip to the end and leave a response. Pinging is currently not allowed. I think we will find out the entire platter at E3. I just think both companies wanted to tease it a bit. « Check Out the New Trailer for ‘The Wolverine’ with Hugh Jackman!! !